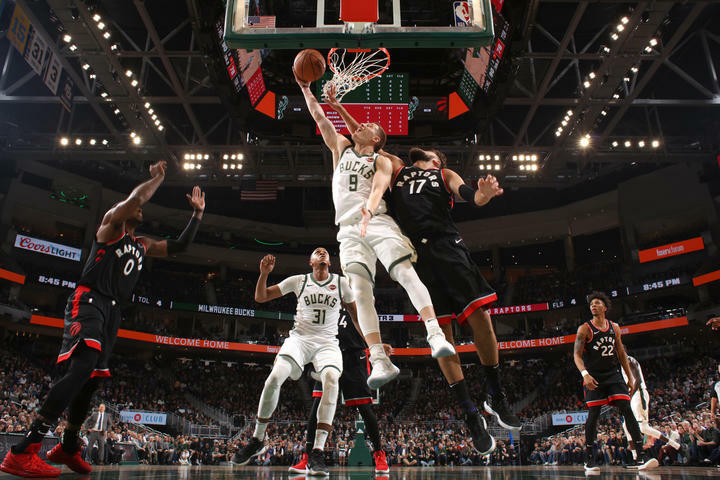 The Milwaukee Bucks announced today that center John Henson will be sidelined with a torn left wrist ligament and first round pick Donte DiVincenzo will miss a few games with a minor left quadriceps strain. Henson initially aggravated his wrist at Portland on Nov. 6. He was able to play in the next three games before reporting additional discomfort in Wednesday night’s game against Memphis. Henson will undergo surgery soon and his status will be updated following the procedure. In 14 games this season, Henson is averaging 5.6 points, 5.1 rebounds and 1.0 assist in 13.5 minutes a game. DiVincenzo suffered the left quad strain in Wednesday’s loss to Memphis and is expected to be out for the next three games and will be re-evaluated at that time. In 14 games this season, DiVincenzo is averaging 6.4 points, 3.1 rebounds and 1.5 assists in 18.1 minutes per game. 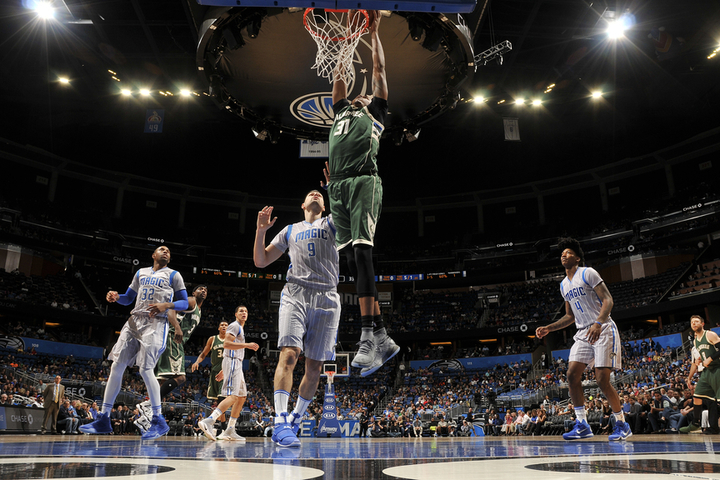 The Milwaukee Bucks ran their record to 6-0 to start the season, knocking off the Orlando Magic 113-91. 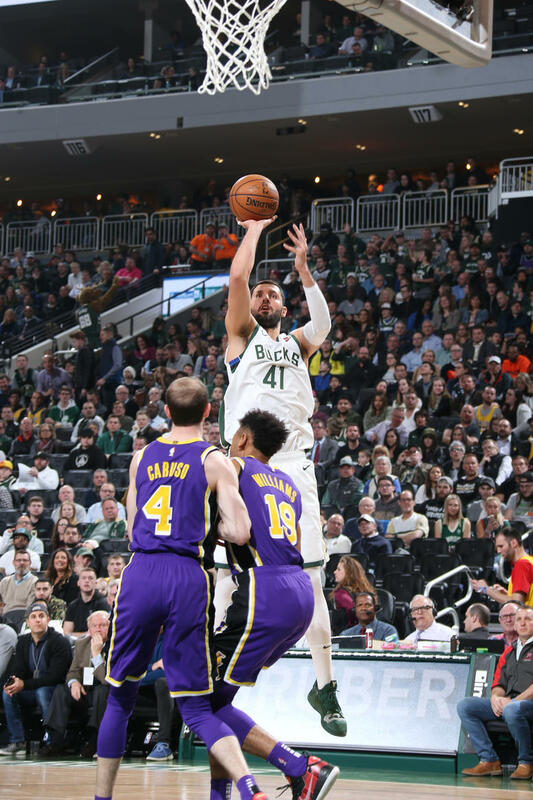 The Bucks start is their best since the 1971-’72 season when they won their first seven games. 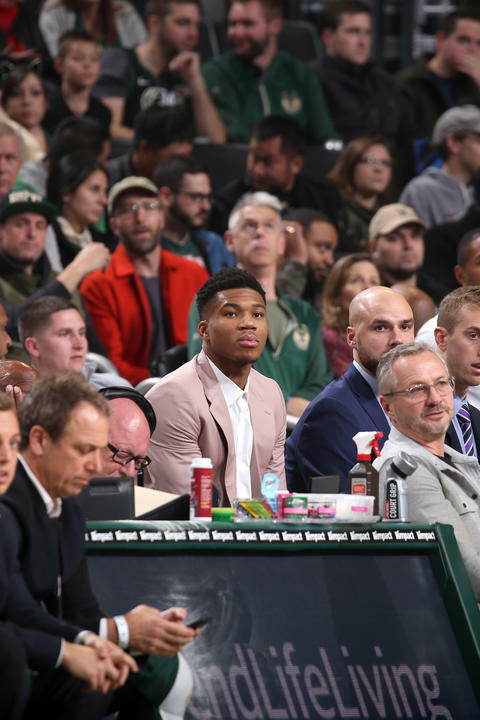 Bucks star Giannis Antetokounmpo took a hard fall in the first quarter and spent some time in the locker room before returning to the game. He finished with 15 points on 6 of 8 shooting. Donte DiVincenzo finished with a career high 15 points. 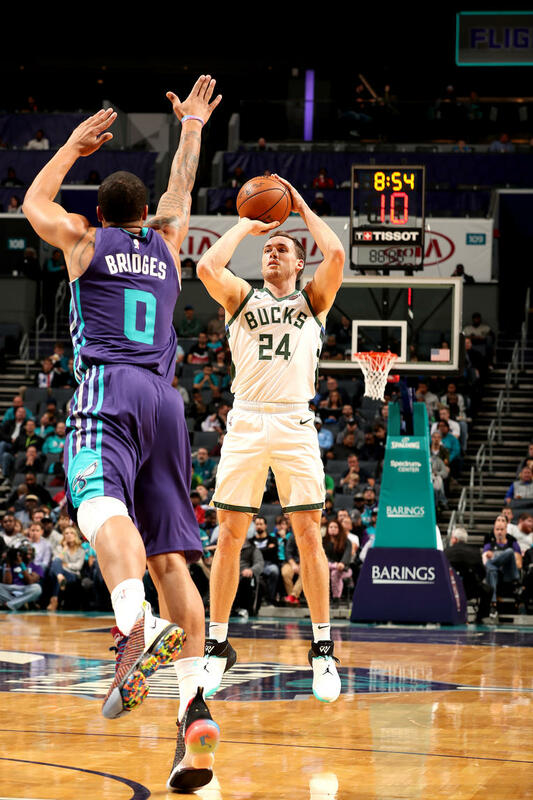 Khris Middleton had 18 points, Malcolm Brogdon had 16 and Brook Lopez 11. It was the second game of a back-to-back night set, having beaten Minnesota 125-95 the night before. The Bucks, who lead the NBA in three pointers made and attempted, hit 10 of 30 from beyond the arc against the Magic. The Bucks return to Fiserv Forum on Monday night when they take on the other undefeated NBA team, the Toronto Raptors. 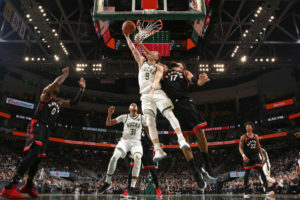 The Milwaukee Bucks selected Villanova sharpshooter Donte DiVincenzo with the 17th overall pick in the NBA Draft. DiVincenzo was the star of the NCAA National Championship Game when he had 31 points and five 3-pointers. He shot 40 percent from three-point range last season. DiVincenzo was named the top sixth man in the Big East after averaging 13.4 points, 4.8 rebounds and 3.5 assists per game. The Bucks shot 35.5 percent from 3-point range last season, tied for 21st in the NBA. They averaged just 8.8 3s a game, 27th in the league. DiVincenzo is very athletic, with a combine best 42-inch vertical leap.